Lumle Holidays Pvt. 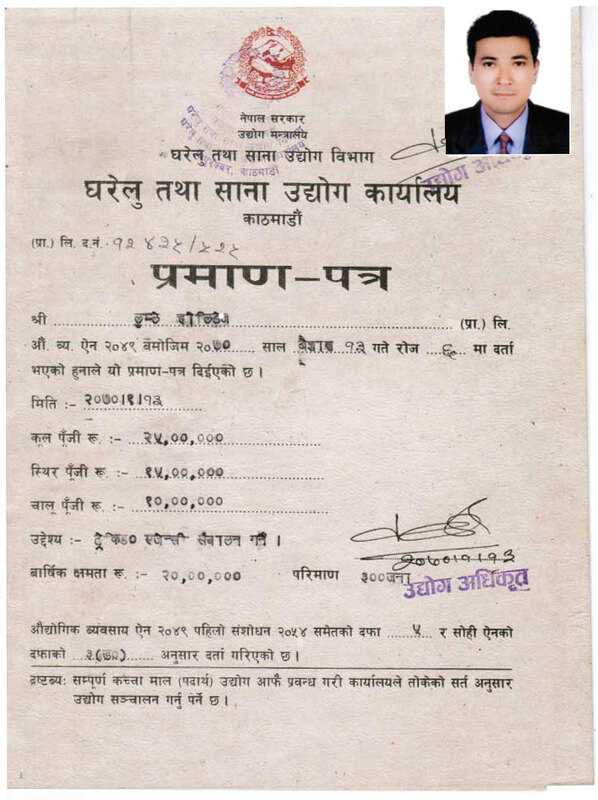 Ltd. is a government registered company located at LInk Road, Sorhakhutte, Kathmandu, Nepal. 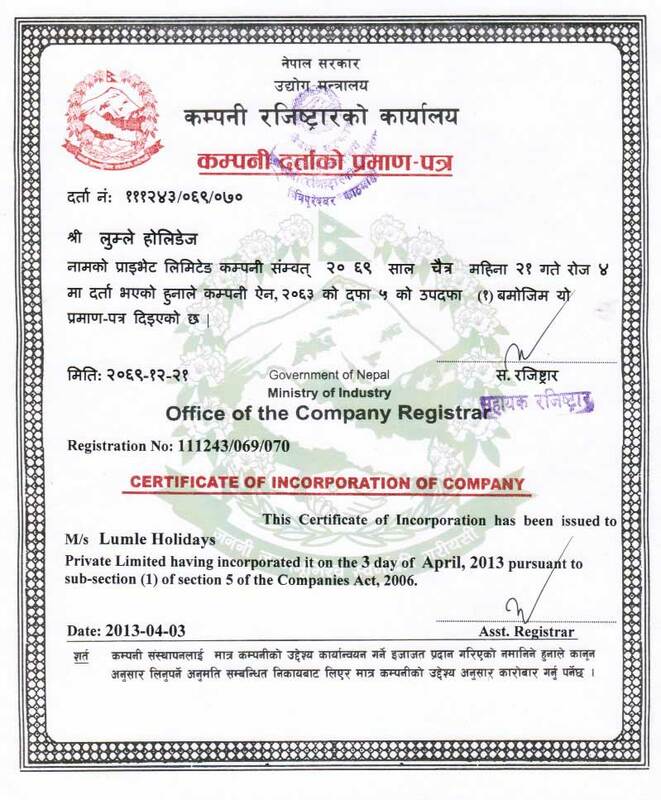 We are registered in Ministry of Industry having registration number 111243/069/070 granted by Office of the Company Registrar. Similarly, registered in Home and Small Industry with registration number 12435/525. 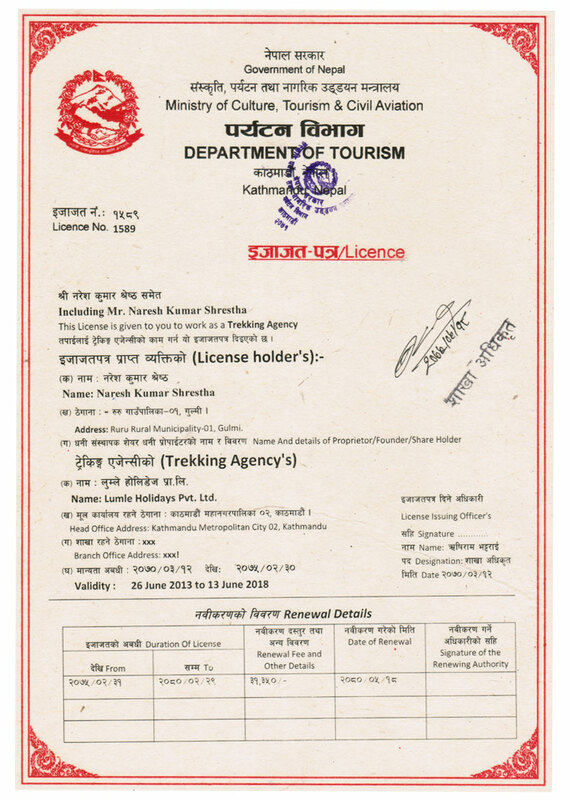 Our company having PAN Number 601135050 is registered in Ministry of Culture Tourism & Civil Aviation with Licence Number 1589 provided by Tourism Industry Division to conduct all tourism related activities like Trekking & Travelling. 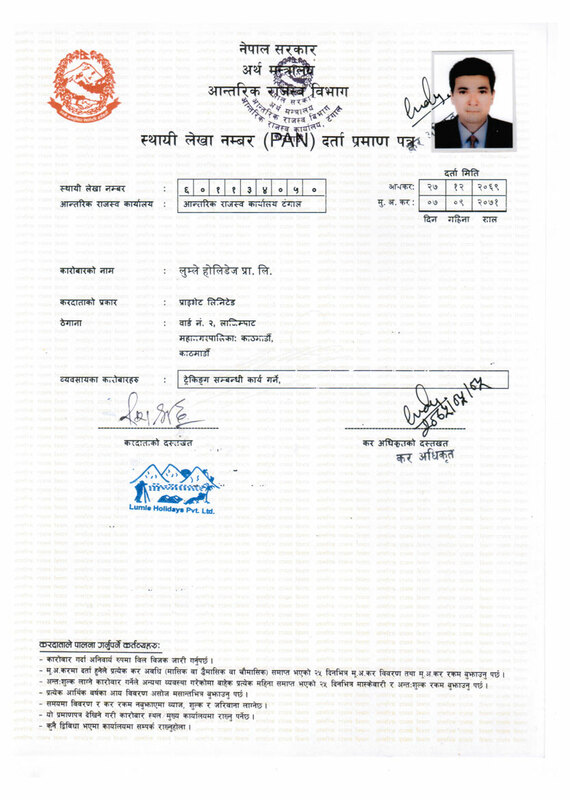 Please kindly find below the registered certificate.